Here are a few of the items that captured my interest in the Iowa history and agriculture sections of the museum. Iowa was obtained as part of the Louisiana Purchase. It was originally labeled as part of Northwest Territory, and then it was a section of the sprawling Michigan Territory. Then, in 1836, borders were redrawn, and it was considered part of the Wisconsin Territory. Then, in 1838, by act of Congress, it became the Iowa Territory. A territory needed a population of at least 60,000 to apply for statehood. In 1846, Iowa became the 29th state. Corn was essentially grown for the purpose of raising livestock—in Iowa, especially hogs. Barrel making for Iowa’s grain shipments was a major industry in the area’s early days. In a display on milling (which didn’t appear until towns began to grow, as you needed a fairly good customer base to justify going to the trouble of bringing in mill stones), I saw a book titled The Young Mill-Wright and Miller’s Guide, by Oliver Evans, published in Philadelphia in 1821. The thing that struck me about that was the idea of someone buying a book to learn milling. Milling struck me as the sort of thing one would learn as an apprentice—but perhaps not in the territories. Grain dust is highly flammable (so yet another danger of storing grain). 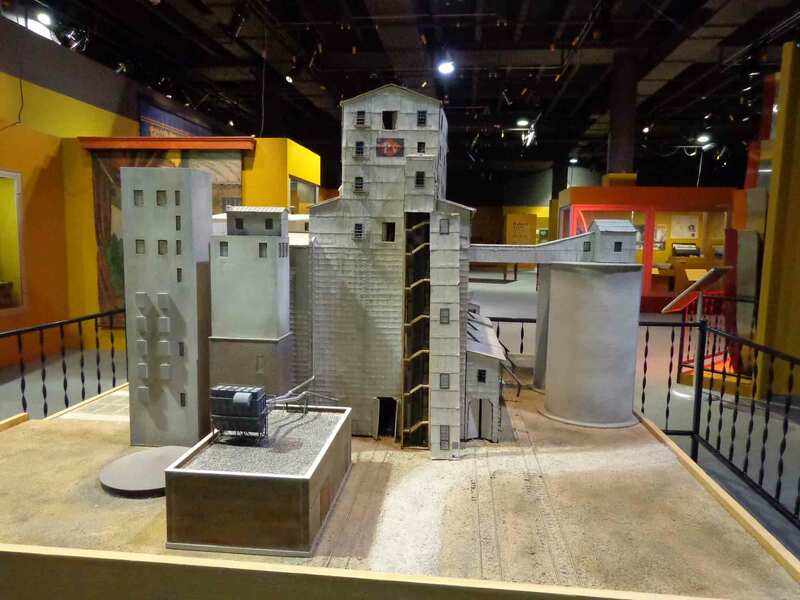 There was a model in the museum of a grain elevator that once stood in Council Bluffs, IA, that held 2.1 million bushels of grain. On April 20, 1982, a spark ignited the dust during a loading operation. The whole building was soon engulfed in flames, and moments later, it exploded, hurling concrete and burning wood up to a mile away. And this was not a flimsy building. It isn’t evident from the model, but the walls were six inches thick, concrete reinforced with steel rods. But the central building vanished. Five people were killed and another 22 were hospitalized. Not far from the capitol was the impressive State Historical Museum. 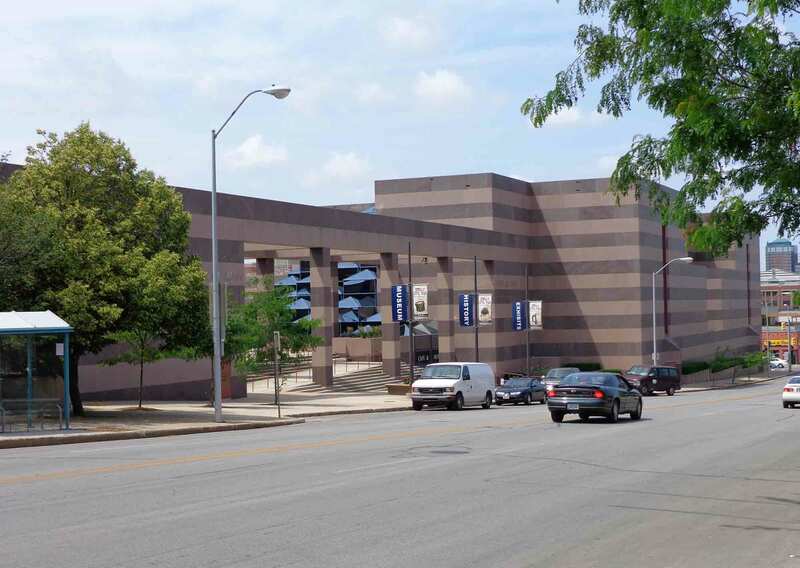 Learning more of the agricultural history of the region was my main objective, but I’ve always been interested in Native American history and culture, so I spent a fair bit of time in these exhibits, as well as in those of the region’s natural history. Here are a few insights I gleaned from the Native American section of the museum. I’d seen the Grass Dance at many powwows, but learned here that it originated with the Omaha and was passed along to the Sioux—so essentially a Midwestern dance—which makes sense, given that the Midwest was largely grassland. An excerpt from The Autobiography of a Fox (Mesquakie) Indian Woman, by Truman Michelson, explained that Indian girls had dolls so that they could practice on a small scale the clothes making and beading skills they would need when they were older. I departed Nebraska on a lovely, cool morning. It always surprises me how much the temperature can vary in one day—55˚ in the morning and 95˚ but early afternoon. After crossing the Iowa border, I pulled in to a Rest Area, as Jane had recommended. Her advice was good—they had an amazing array of documents, magazines, maps, and brochures about the state. What a splendid research for return visits. The highway stretched across a gently undulating, green region of handsome farms. There is something about the sight of that gray, concrete ribbon stretched seemingly endlessly toward the horizon that always charms me. After three hours, I pulled into a McDonald’s. I realize this stop possesses no snob appeal, but you really can’t beat a McDonald’s on a long road trip: right on the highway, bathrooms are always clean, and the coffee is good. I sometimes think people who rail against McDonald’s are simply folks who are bitter that they didn’t think of the idea first. One of my favorite “factoids” is that McDonald’s has created more millionaires than any other economic entity in history, most of them minorities. And they’re easy and reliable. Continuing on, I passed a sign indicating that a few miles to my left was Winterset, birthplace of Marion Robert Morrison, better known as iconic movie hero John Wayne. I had too far to go and too many other stops already planned to make this detour, but I noted it for a possible future visit. 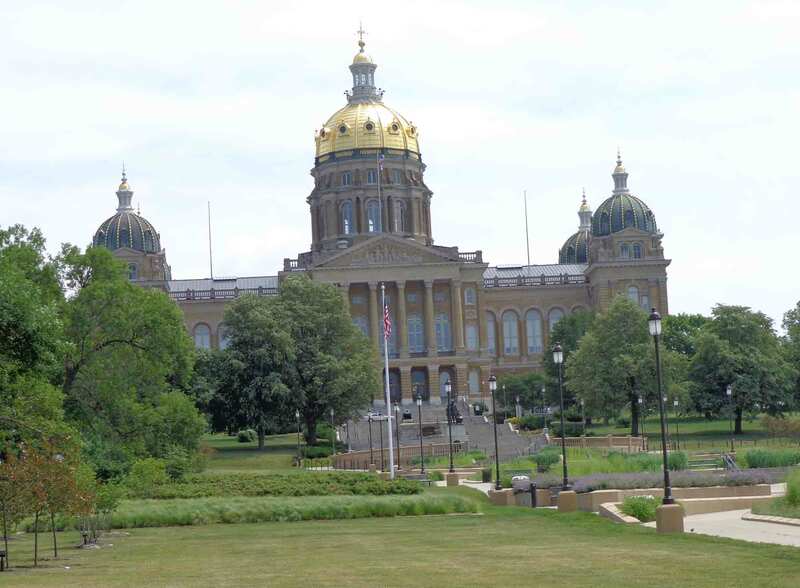 In Des Moines, my main goal was the Iowa State Historical Museum, but the state capitol was nearby, so I stopped to photograph the handsome, domed building.